To keep itself in competition, Mitsubishi gave mild updates to the Outlander Sport in 2014. 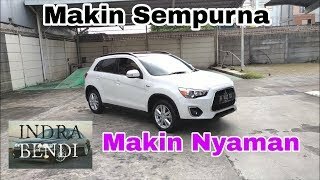 However it looks once again the company feels to add more to its compact crossover and thus here we are with the Mitsubishi Outlander Sport 2016. The model gets new design at its front end and little tech upgrades too. Let us have a look at the specifications and performance figures of Mitsubishi Outlander Sport 2016 through its review. The interior of Mitsubishi Outlander Sport 2016 gets redesigning with its parts and features. The first to be noticed in this queue is the redesigned leather wrapped three-spoke steering wheel. There is a 6.1 inch display sitting over the dash, featuring audio system, rearview mirror auto-dimming feature and Homelink connectivity. Portraying dual tone coloration, the interior walks in hand with other economy compact crossover vehicles. You can notice the essence of black plastic in the upper door trim, upper dash and center console while a lighter tone can be noticed in rest of the parts. Interior isn’t just about these but it also has space with it. Passengers can fold the rear seat and thus can get some extra space for their cargo. 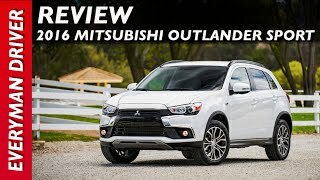 Thus rounding up the interior details of Mitsubishi Outlander Sport 2016 all I would say is, though with less upgrades but those integrated make this model more delightful. 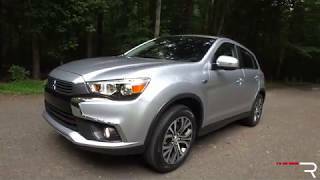 The exterior of Mitsubishi Outlander Sport 2016 gets more changes in comparison to the interior. Starting with the front fascia it has rectangular shaped grille divided in two parts; the upper and lower. Featuring a gleaming finish folding on top and extending under the headlights, the front and gets a, eye-catching look. The headlights get some chrome trim on their outer corners. The same further extends taking a U-turn and wrapping around the fog lights. The fog lights are designed in a way that they might recall you the chameleon eyes. Moving towards the rear end, the body lines on the side of model are still present while the wheel arches are comparatively less pronounced. The rear end has the same look as the one in the predecessor model. However the model has been crafted bit longer. 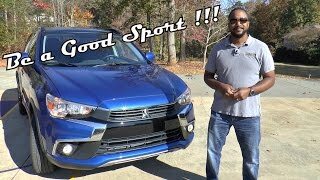 In all the exterior details of Mitsubishi Outlander Sport 2016 I would say that rolling over the 18-inch alloy wheels and with those new exterior colors, model undoubtedly deserves a minute of love. 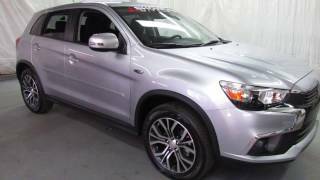 Beneath the hood of Mitsubishi Outlander Sport 2016 are two powertrain options; first is a 2.0 liter four-cylinder engine cranking total output of 148 hp and peak torque of 197 nm while second is a 2.4 liter four cylinder generating total output of 168 hp and peak torque of 226 nm. The former comes standard with a five-speed manual transmission but buyers do have an option to go for six-speed CVT while the latter doesn’t have any option of manual transmission. The performance figures of Mitsubishi Outlander Sport 2016 are yet to be disclosed and we assure to share them with you as soon as company unveils it.